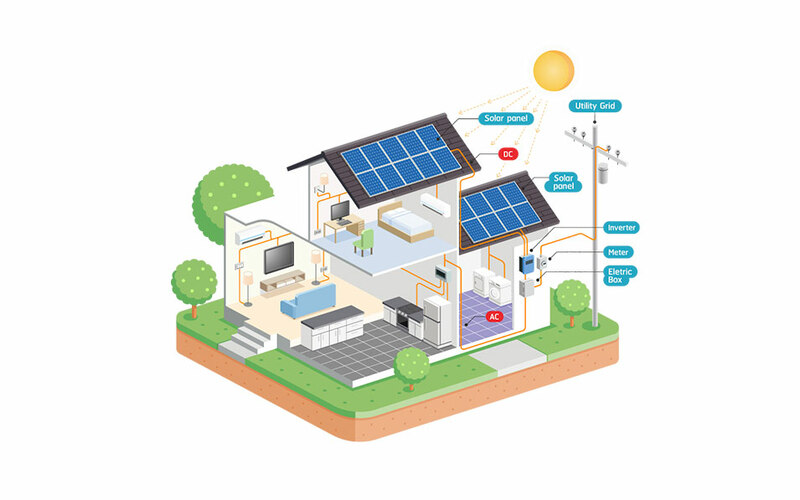 The basics of how solar energy systems work are very simple. Solar energy systems harness the sun’s radiation and convert it into energy through a solar panel. The converted energy is transferred to an inverter which changes it into usable electricity. You can add the option of battery storage. This enables the solar energy to be available whenever you need it! The stored energy can be used for household appliances, lights, televisions and even heating water. The possibility of sending excess solar energy back to the grid is a major incentive. This additional solar energy is measured by a meter box and sent back to the grid in exchange for credits. You can then use these credits to draw power from the grid when you are not producing solar energy.